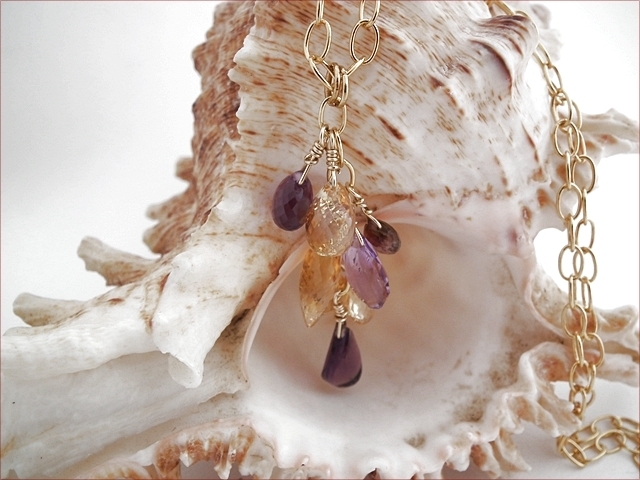 The gemstones - in a variety of cuts and sizes - are primarily amethyst and citrine and yellow topaz with a little andalusite in there too. 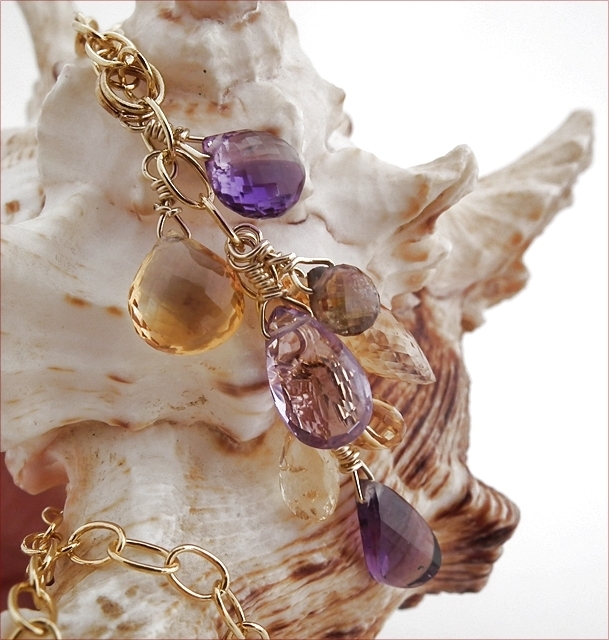 Each has been wire wrapped in gold vermeil and individually placed on the chain. 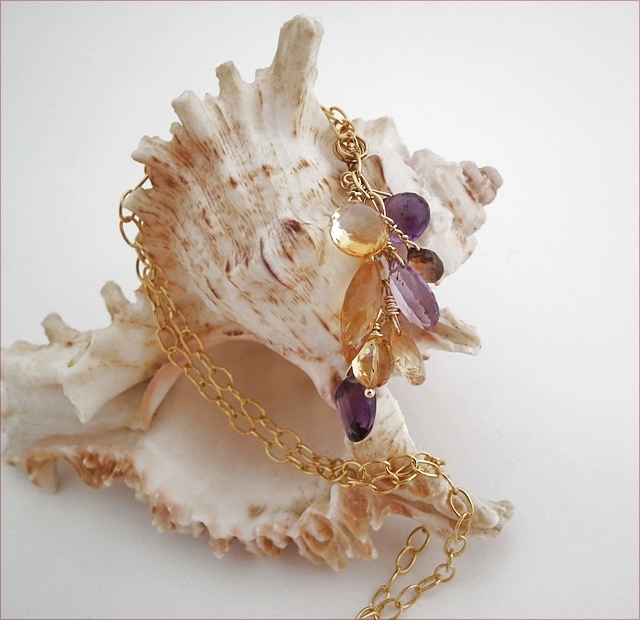 The chain is 18" (465mm) long, fastening with a gold vermeil lobster clasp. 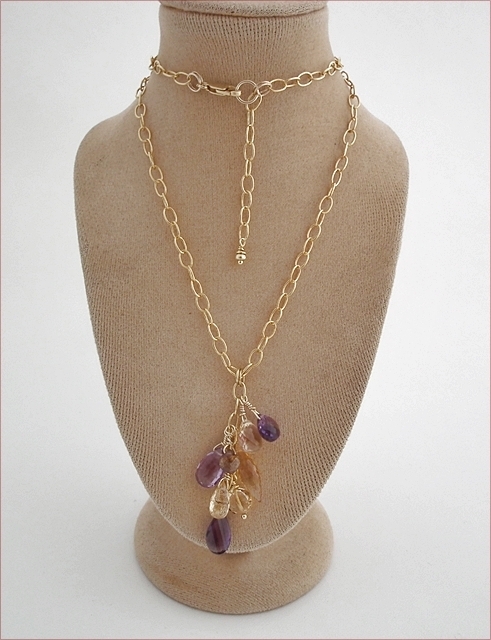 I've also added a 1.5" extender chain, so the necklace can be worn longer. 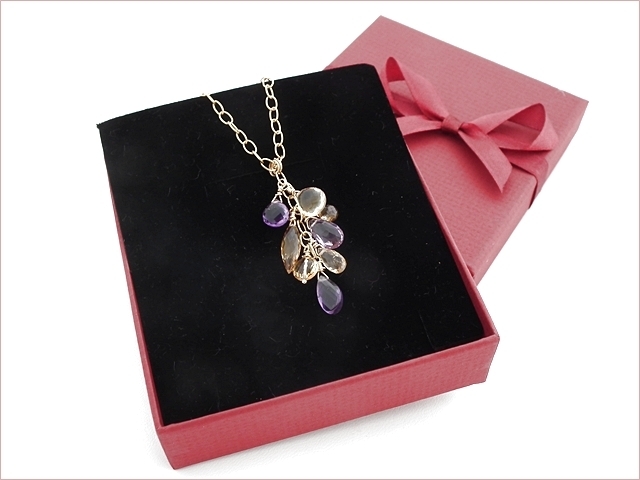 The necklace comes in a beribboned box, making this a lovely gift. Opulence at an affordable price!